A world of computers and gadgets has one unpleasant side-effect- a world of cables cluttering up your life. All of those devices have to have power and be charged. The price of wireless accessories is that now, even our keyboards, mice, headphones, and headsets have to be charged, as well. I know my office desk is overrun with cables on a daily basis for this very reason. 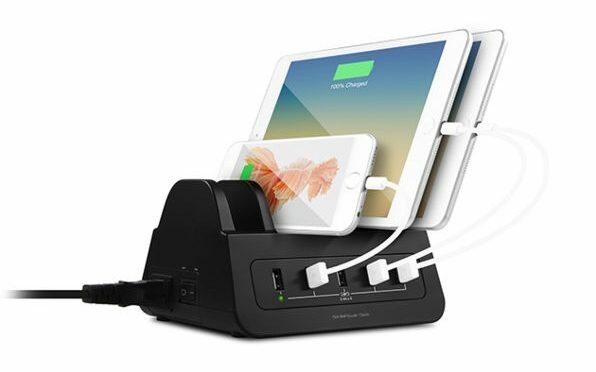 The GorillaPower 5-Port USB & Power Dock from mbeat is a great solution to help solve some of that cable clutter. This dock has 5 slots to hold tablets, phones, or other devices. Each slot has an associated USB port that outputs 5 Amps and 60 Watts of power. 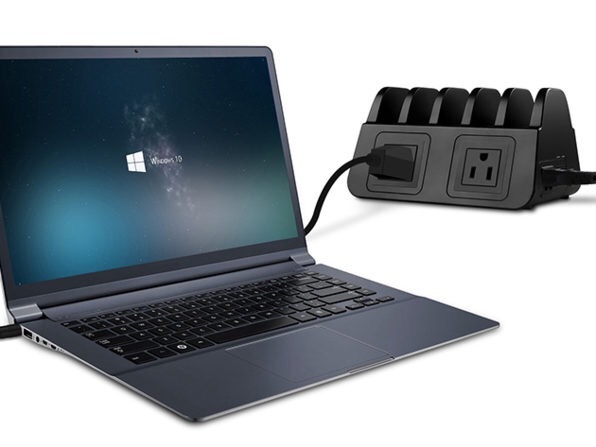 The other side of the dock has 2 5 Amp, 1200 Watt AC power sockets, giving you the ability to charge your laptop and plug in a secondary monitor. With the GorillaPower, 1 wall socket can help you to power 7 devices with surge protection and in an organized way. 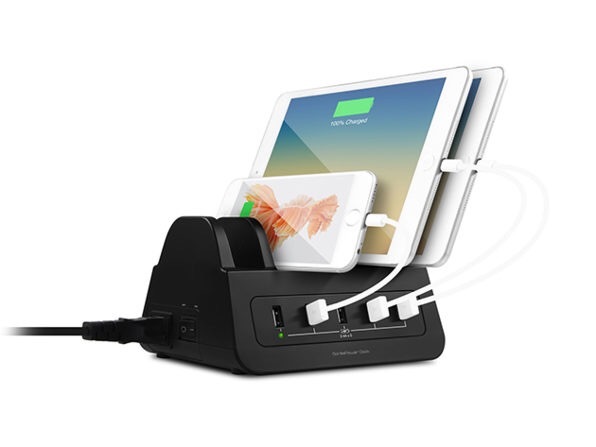 Our Deals site is offering the GorillaPower 5-Port USB & Power Dock for $59.99.